Becky G, whose real name is Rebbeca Marie Gomez, was born in 1997 in California. Her grandparents came to the United States from Mexico. She has two brothers and a sister. The Gomez family had financial problems. They had to sell the house and live in the grandfather’s garage. Rebbeca tried to earn money to help the family since childhood. She got gigs filming commercials and doing voice-overs. Many children in Gomez’ school were jealous of her success. Eventually, she had to turn to homeschooling. In 2008, the girl started writing her own songs. At about the same time, she landed a role in a short film, El Tux. A little later, Rebbeca portrayed Nina in the TV series, La estación de la Calle Olvera. In 2009, Becky joined an all-girl band G.L.A.M. Soon, together with Cristal Guel, the singer formed a new band, BCG. Using Garageband software, Gomez started recording cover versions of popular rap songs and posting them on her YouTube channel. By that time, Rebbeca learned how to play the guitar entirely on her own. Gomez’ songs attracted the attention of the producers’ duo The JAM. In 2011, they helped the young woman record covers to such singles as “Otis”, “Lighters”, “Novacane”, and “Boyfriend” as well as her own song “Turn the Music Up”. These tracks were planned as part of the album, @itsbeckygomez, but it never came out. The cover to the song “Otis” caught the attention of the famous producer, Dr. Luke. When he met Becky personally, Dr. Luke was impressed by her guitar playing skills and songwriting talent. Soon after the audition, Gomez signed a contract with Kemosabe Records. In 2012, Becky and a rapper will.i.am recorded a single “Problem”, which later was remade specifically for the animated movie Hotel Transylvania. Later, the artists filmed a video, which featured some of the movie fragments. The singer started acquiring fans. Many of them were trying to book Becky G for private events. In April 2013, Becky G released a remake of Jennifer Lopez’ “Jenny from the Block”. Gomez called it “Becky from the Block”. In July, she presented an EP, Play It Again. The single “Can't Get Enough”, featured in the album, came out in March 2014 and reached the 2nd spot of US Latin Airplay Chart. It also came in 10th on US Latin Pop Songs and US Latin Songs Charts. In April 2014, Becky G performed a single “Shower”, written by Dr. Luke, Cirkut, and Rock City. The single came in 2nd on Hot Rap Songs Chart, climbed to the 16th position of Billboard Hot 100, and settled on the 17th spot of US Mainstream Top 40 Chart. In 2015, the song earned a prize at Radio Disney Music Awards for Catchiest New Song and at Premios Juventud for Favorite Hit. In November 2014, Becky presented her new single “Can't Stop Dancin'”, which came in 34th on Mainstream Top 40 Chart and 10th on Monitor Latino. In 2015, the singer released two singles “Lovin' So Hard” and “Break a Sweat”. The latter came in 36th on Mainstream Top 40 Chart. In 2016, the ratings of Rebbeca’s English songs stopped meeting her expectations. The singer decided to cater to the Spanish-speaking audience. In June, she recorded a single “Sola”, which featured reggaeton elements. The single came in 11th on US Latin Pop Songs Chart. In October, Gomez presented a new single “Mangú”, also recorded in Spanish. 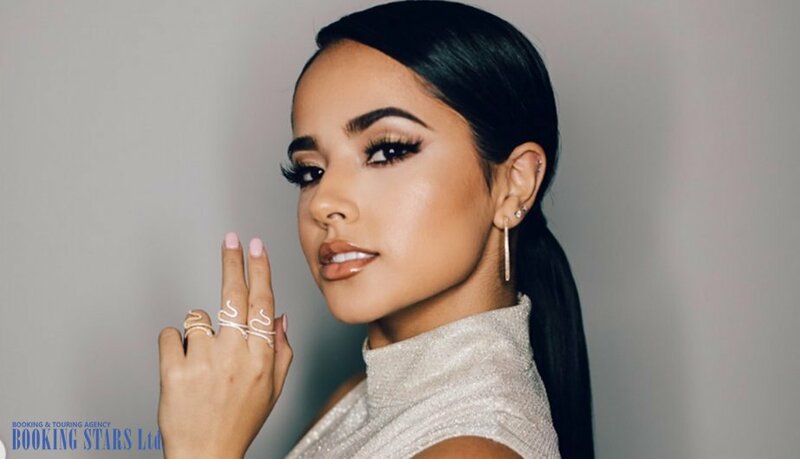 In 2017, Becky G and a Puerto Rican singer Bad Bunny released a new single “Mayores”, which topped many Latin American charts and came in third on US Hot Latin Songs Chart. In 2018, Gomez and Natti Natasha presented a single “Sin Pijama”, which climbed to the 4th spot of US Hot Latin Songs Chart. Becky G is currently working on two albums. One will come out in Spanish, another in English.